Garlic and carrots have sprouted. 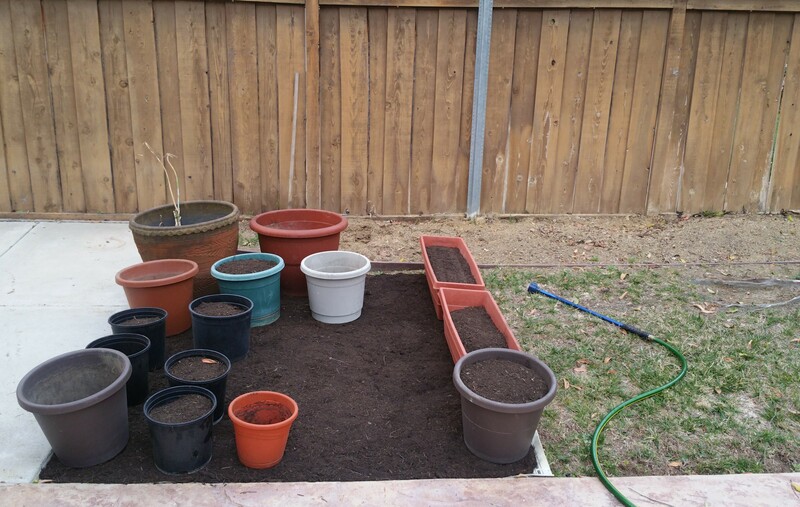 Bok choy, cilantro, lettuce, onions, shallots and flower seedlings have been transplanted. Nighttime temperatures are in the low 50s, so it’s time for a greenhouse. I placed 6 rebar stakes (2 ft long, 1/2 in diameter) into the raised bed and slipped 10 ft long, 1/2 in diameter PVC pipes over them, creating arches to make the frame for the greenhouse. Pictured above are two of the three arches with the last two rebar stakes in the front. 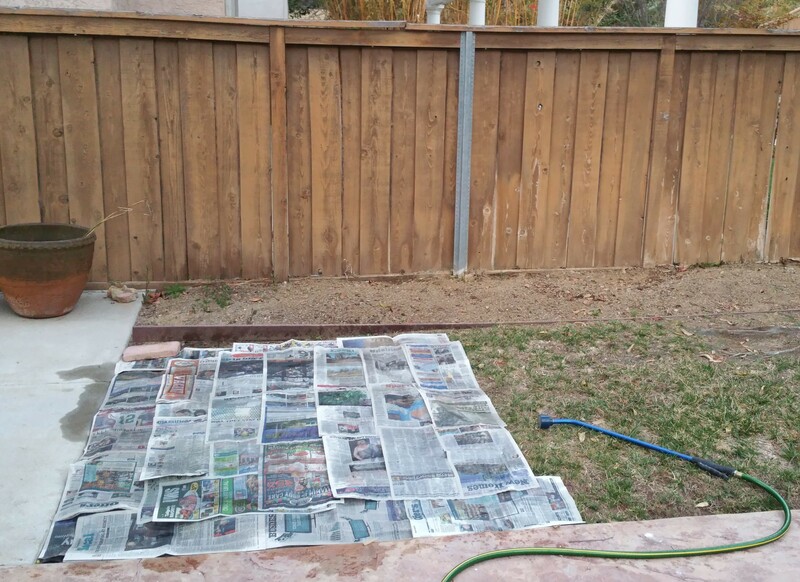 The PVC pipes were painted copper so they wouldn’t look so much like…well, PVC pipes. Greenhouse plastic (purchased as a 10 ft x 100 ft roll from Peaceful Valley Farm and Garden Supply) cut into a 10 ft x 13 ft rectangle was placed over the arches and secured with row cover snap clamps. The open sides were closed with velcro stickers. 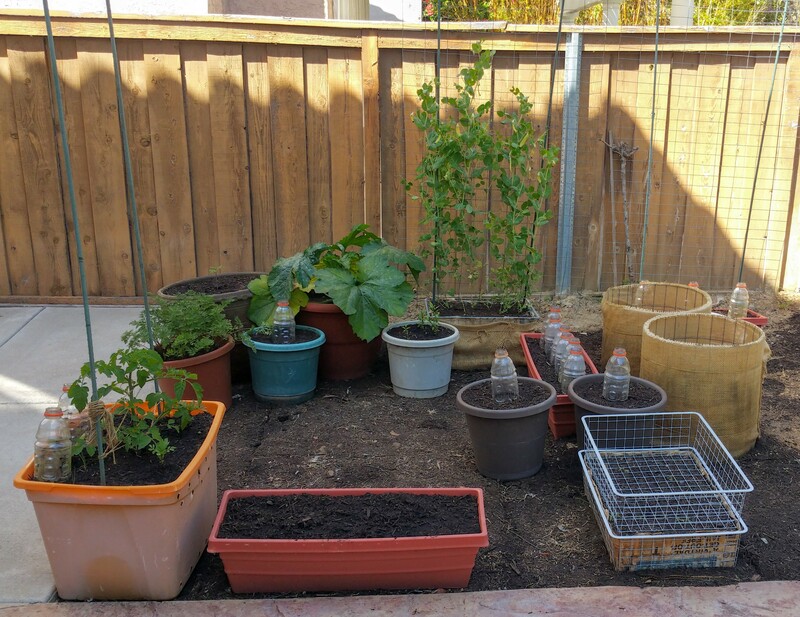 I took another hiatus from gardening…my container garden ended up getting neglected, which isn’t such a bad thing considering the drought. There were still some straggler worms in this tray, but the majority of them have already migrated to the top tray. So all I had to do was dump this onto my garden bed and mix it into the soil. 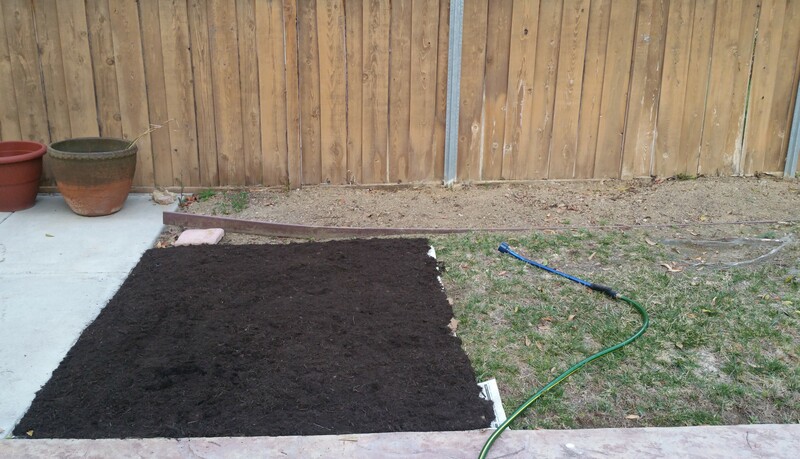 Oh yeah, I have a raised garden bed now. Picture and post to come soon. I’m planning to start seeds soon. Currently, the yard is rife with hedges, birds of paradise plants, and other shrubs (as well as weeds) that I don’t care much for. I’ve been slowly uprooting this vegetation to make room for the vegetable garden and was curious about the state of the soil. Typically, I’d just add a bunch of compost with a bit of blood meal and bone meal to the soil and call it good. This formula has worked well for me throughout all my humble gardening days. But this time, I figured I’d get to know the soil a little better first by conducting some soil tests. 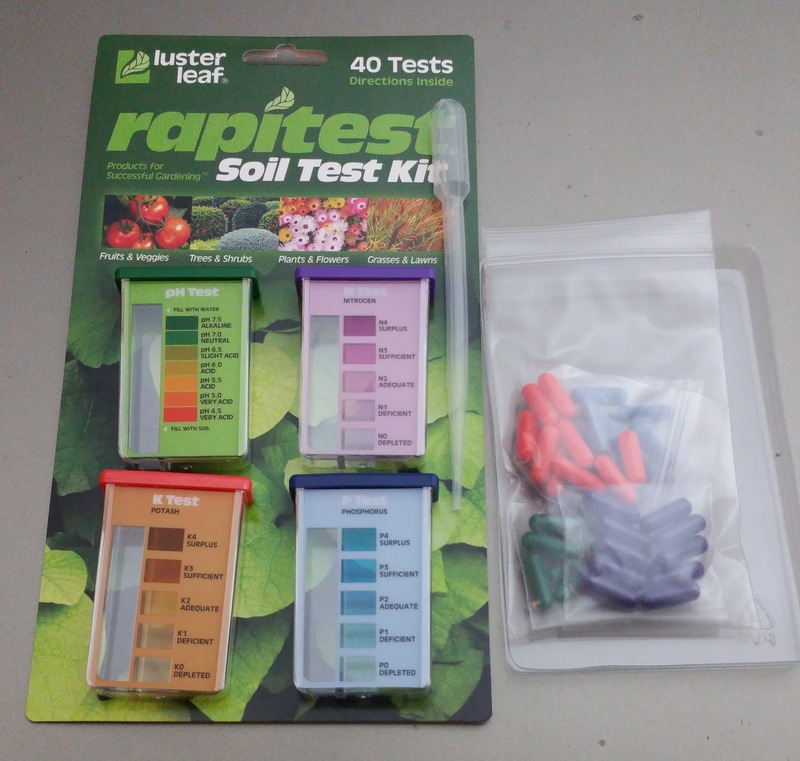 I purchased a Leaf Luster Rapitest Soil Test Kit from my local nursery. The kit comes with four tests: pH, nitrogen, phosphorus and potassium. The instructions were straightforward. Generally, the tests call for mixing one part soil with five parts distilled water, letting everything settle, and mixing small samples of the water with the capsules provided in the kit. I already have two of the three recommended amendments. I guess I’ll need to get some sulfur to lower the soil pH and make it better suited for growing vegetables, which typically thrive in soil with a pH between 5.5 and 7. And of course I’ll be throwing in a bunch of compost per my normal ritual. If it’s not obvious, I love composting. 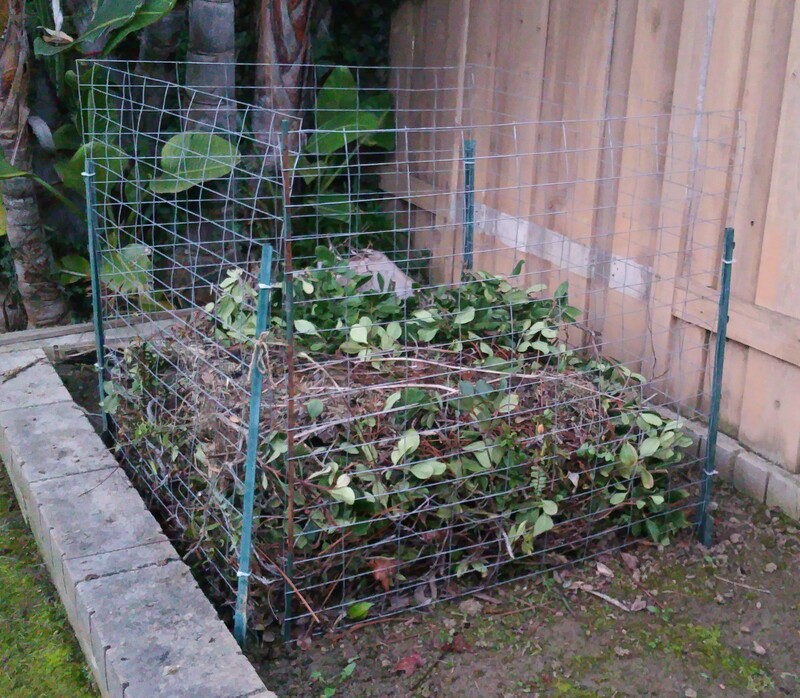 So much so that in addition to composting kitchen scraps with the worm bin, I’ve started composting yard waste (leaves, grass clippings, hedge cuttings, weeds) with a simple outdoor compost bin. All this greenery is typically considered part of a homeowner’s trash, but with a little help it will transform into a garden’s treasure in a few months. This heterogenous heap will look like a mound of soil when it’s all done composting, and I can use it as fertilizer and mulch for my plants. 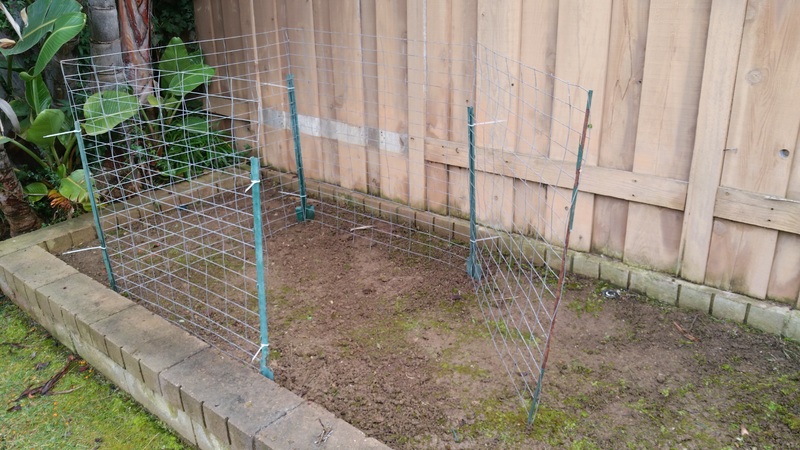 Why do I have a separate worm bin and outdoor compost bin? The three main reasons are pests, space and convenience. I compost kitchen scraps in the worm bin rather that in an outdoor pile so as not to attract rogue critters. Also, the yard wastes are too big and bountiful to fit in my worm bin. Lastly, I can keep each compost bin closest to their food sources: worm bin near the kitchen and yard waste bin in the yard. 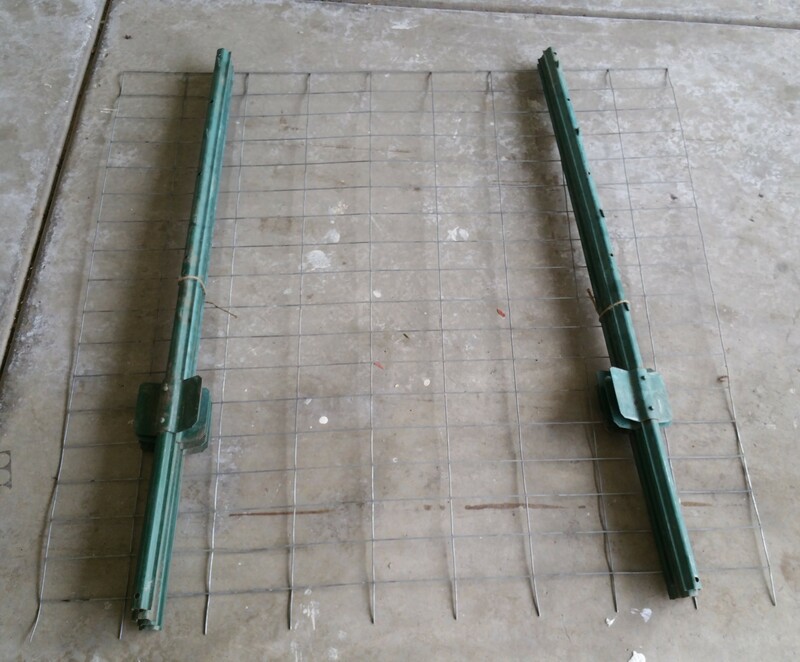 Using metal cutters, cut out four 3 ft x 3 ft squares of welded wire (I used the 3 ft long U-post stakes to measure). These squares will be the sides of the compost bin. Mark out a 3 ft x 3 ft square on the ground where the bin will be located. Stake a U-post at each corner. Position a wire square upright between two U-posts and zip tie both sides to the posts. Do this for three of the squares, reserving the fourth square. So far, the setup should have three walls with an opening (where the “door” will be). 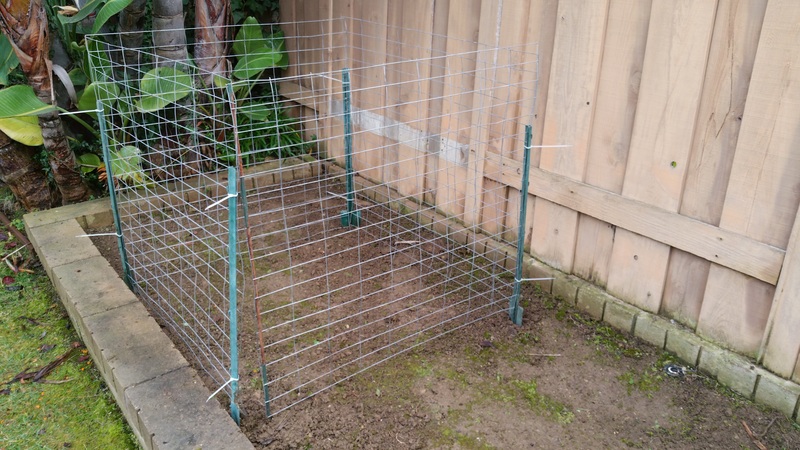 With the last wire square (the door), weave the garden stake (or rod) through one side. This will keep the door straight for opening and closing. Position the door at the opening of the bin and tie the free side (without the stake woven through) to a U-post with zip ties. 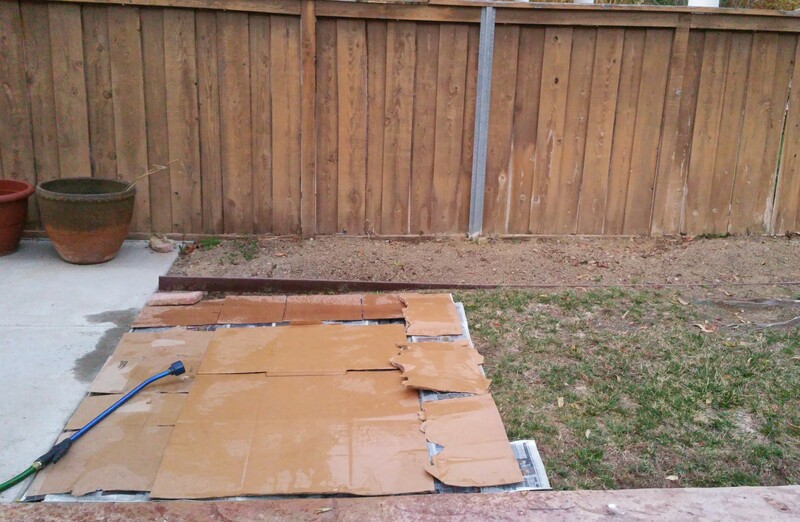 Just fill with yard waste and cover the pile with a big piece of scrap cardboard to keep it moist.